Need hydraulic repair and maintenance services? For fast, precise, and professional solutions, count on Beer Industrial Service Inc. We are a full-service hydraulic company in Lethbridge, AB that has been providing cost-efficient and comprehensive hydraulic services for industrial forklifts and cranes for more than 25 years. From designing and engineering custom hydraulic parts to troubleshooting and maintaining complete hydraulic systems, our professional technicians are ready to help. Why Choose Our Hydraulic Company? We are staffed with licensed heavy-duty mechanics. We carry quality hydraulic parts. We have more than 40 years of experience in the business. We have state-of-the-art facilities to handle mobile equipment. We offer 24-hour emergency services with one-hour response time. We offer full-shop and on-site services. We service all forklift/crane makes, models, and sizes. Need Hydraulic Repair Services? Contact Us! 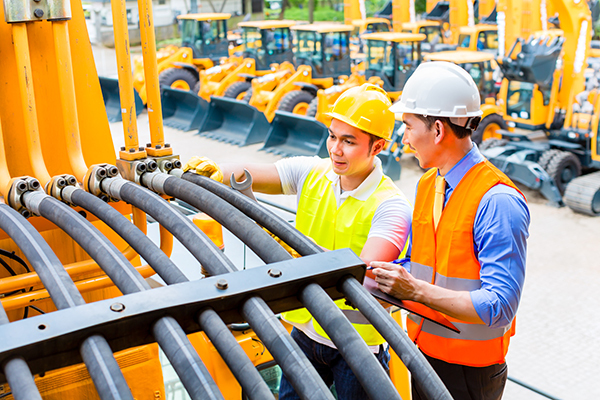 If you’re having problems with your heavy equipment’s hydraulic system, call Beer Industrial Service Inc. Our professional mechanics are here to handle the hydraulic repair and maintenance work you require to get your machine up and running. No matter what time or day, we’ll be there to provide the solutions you need. We service clients in Alberta and the surrounding areas. For inquiries and scheduling appointments, call or email our office today.